If you prefer to keep your feet firmly on the ground, visit the stadium and one of our football pitches. In the summer there are beach games and boat cruises around the Castle. 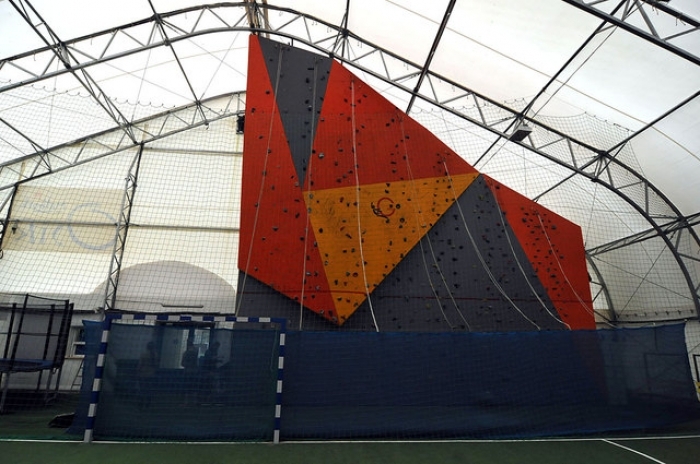 During the summer season a 100m climbing wall is available to climbers. There are clay tennis courts and roller rinks in the sports hall. An ice rink is put up in winter season (November-March). Cycling, jogging and Nordic walking enthusiasts will definitely find a broad range of activities here.